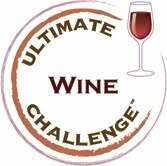 2011 ULTIMATE WINE CHALLENGE - The results are in! Buy six or more bottles of wine or bourbon and get 1/2 off shipping with code "wblog35"
The winners of Ultimate Beverage Challenge’s (UBC) second annual Ultimate Wine Challenge are announced today after judging was held at Astor Center in New York City on May 2-6, 2011. An extraordinary panel of judges, led by F. Paul Pacult and touting two Masters of Wine, once again proved that UBC’s founding tenets of integrity, method, and credibility can be the driving forces in alcoholic beverage competitions. The top scoring wines in their category were awarded the coveted Chairman’s Trophy and all Trophy winners and Finalists feature tasting notes from the judges along with their rating based on the 100-point rating system. The top awards, ratings and tasting notes from such esteemed judges are invaluable in assisting brands market their wines as well as helping consumers navigate the hundreds of choices they are presented with when it comes time to purchase. In addition, this year Ultimate Wine Challenge results feature wines designated as “Great Value” based on the relationship between their price and final score.